Our manager was of the opinion that such questions were "out of order" at the current time as he talked about blips and how we are running with a small squad. Yet, this is the same man who, back in the autumn when we were winning, was telling us that there was so much more to come from a squad which he was still calling the best he has had at Cardiff just before Christmas. However, for something like six weeks now, Dave Jones has been talking about the need for as many as five new players to come in during the January transfer window and, rightly or wrongly, I believe this has led to a suspicion that there is little our manager can do to change the current run of wretched form until these new faces arrive. It has become pretty common to use the term "feast or famine" to describe the Dave Jones years at Cardiff City - well, this famine is now beginning to match the ones we had in 2006/7 when we went more than two months without a win and in autumn 2008 when the culmination of a forty six game period where we had a record which could well have seen us relegated over the course of proper season led to widespread call for his dismissal following a 3-0 defeat at Charlton. A common theme during these long periods of famine is that our manager seems totally unable to diagnose what is going wrong and act effectively to correct it - you get the distinct feeling that we just bumble along until something happens on the pitch to change things (e.g. a great goal by Michael Chopra at Wolves or Alan Lee hitting crossbar and post after just twenty seconds in a match with Ipswich) and then we are off and running again as we invariably enter a "feast" period. If City can slip from famine into feast quickly, and for no obvious reason, under Dave Jones, then it's fair to say that the opposite also applies. For example, the feast which was the start of 2006/07 was almost instantly turned into a 13 match famine when the late Roy Jones turned home a cross two minutes from time to decide a televised game between Dave Jones' table toppers and QPR at Ninian Park - why a team that had been brimful of confidence for months should be so totally transformed by just one setback seems very odd, but within a couple of months expectation levels had been completely deflated following two periods of vastly differing results and performances. Although our results have been very slightly better than they were back then, there are very definite parallels between now and 06/07, but, whereas there was much pontification in the media and on the messageboards as to the cause of the 06/07 slump, I don't think anybody was ever really able to pin down just what was going wrong - this time around though I believe that a possible explanation is easier to find. Now, only those in the dressing room can really know how accurate this explanation is, but, and I know I am becoming a bit of a bore on this subject, I think that for QPR in 2006, you can read Swansea in 2010. I've mentioned before that I think the fall out from that Swansea defeat was devastating in a way which only the 6-0 at Preston in April 2009 has matched in recent years as a team which was in great form beforehand found themselves completely outplayed and, I would go as far as to say, embarrassed by their biggest rivals after their manager decided to tinker with what was a winning formula. For me, post match reports of dressing room anger and unhappiness with the manager have a ring of authenticity to them because important players (e.g. Chopra, Burke and Drinkwater) were either shifted from their best position, dropped completely or brought back when they weren't match fit seemingly because our manager was more concerned about what Swansea could do to us than what we could do to them. The blip that was Coventry and half an hour against Scunthorpe apart, Cardiff City have been playing like a team with issues in the dressing room for ten matches now and things seem to be getting worse rather than better - apart from the Forest match, our losses had been by single goal margins until the last two games which have seen our very good goal difference, that was, effectively, worth another point to us, being reined in. With every defeat, Dave Jones comes up with excuses (e.g. poor defending and we're not getting the basics right) and talks of the need to work hard in training to get things right again, but, up to now at least, it's having no effect. Similarly, there appears to be no rhyme nor reason to team selections. Now, I know that to single out just one player for blame when so many are under performing is over simplifying matters, but as long ago as the Leicester game back in September I heard Iwan Roberts talk about how our opponents had identified Lee Naylor as a weakness in our team and, now, more than three months later, Jason Perry has said the same thing in successive matches. After his horror show at Watford where his manager had taken the, for him, unheard of decision to withdraw a player for tactical reasons in the first half, Lee Naylor was, unbelievably, there again at left back yesterday and, so predictably, the opposition scored a couple of first half goals by getting in down his side. When a squad heralded as his "best ever" by their manager resolutely refuses to play to it's potential over a period of months and he seems powerless to do anything about it, then it's inevitable that people will start to wonder if it is the manager himself that is the issue and, despite his protestations to the contrary, Dave Jones' job security is currently a subject worthy of enquiries from the media. 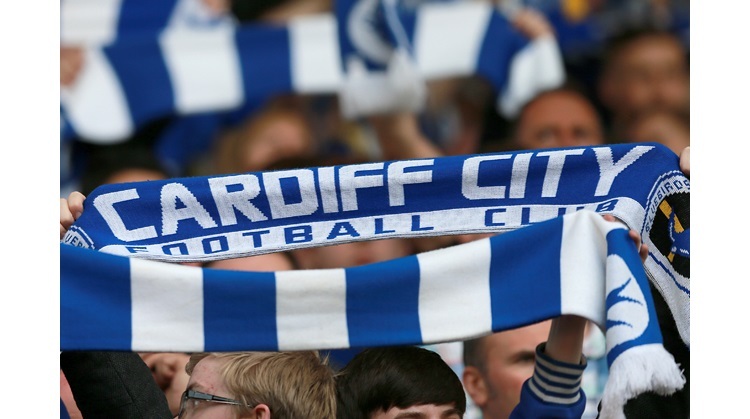 Judging by what I have read on messageboards and was told last night, yesterday's game has the feel of one where significant numbers of Cardiff City fans finally decided that a change of management was needed. As for myself, I said in an e-mail to another supporter about three weeks ago that I didn't think Dave Jones should go, but that if the run of bad form continued into the New Year then my opinion would change - Coventry offered the promise of better to come, but fortunes now seem to be at their lowest ebb this season, so I see no reason to change my view and, for the second time in Dave Jones' five and a half years with us, I now feel that we need a new manager. That said, I must admit that I don't see the change increasing numbers want happening just yet - to sign a player for a transfer fee for the first time in eighteen months and then sack your manager straight afterwards smacks of panic and muddled thinking, All of the signs would appear to be that Dave Jones has been given a sizeable war chest for this month's transfer window and he still has the backing of the Board to spend it. Talking of new signings, I'd like to welcome Jon Parkin, whose move was officially confirmed yesterday, to Cardiff City - he shouldn't have too much trouble settling in because all he has done is swap one club showing relegation form for another.